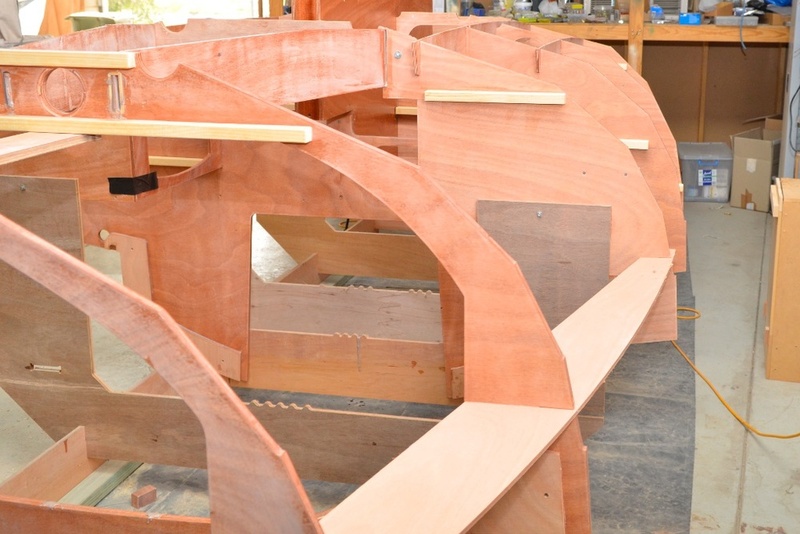 With the building Jig set up the boat frames can be attached and the boat begins to take shape. Battens for furniture as well as some doublers are fixed to the frames before assembly. The frames are fixed to the supports with bolts, in this picture I am gently tickling the bolt in with my hammer. With all the frames in place.